​Duke University shocked the basketball world last night when they beat the Kentucky Wildcats by over 30 points, but was it because of their talent? 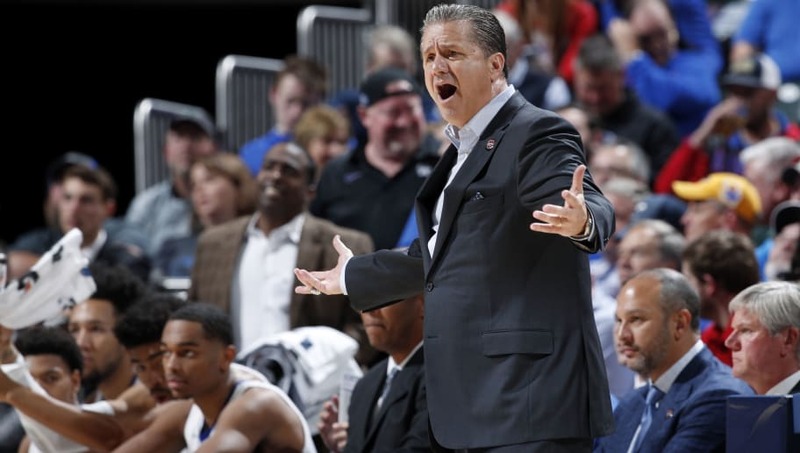 While some seem to think that the trio of Zion Williamson, RJ Barrett, and Cam Reddish are to blame for this massacre, others are looking in the direction of Kentucky's head coach. John Calipari did not get star forward Reid Travis involved nearly as much as he should have been. As an experienced veteran, a dominant defender, and a tireless scorer, Travis helps in all facets of the game, so the fact that a coach as skilled as Calipari would fail to utilize this is puzzling. Travis had an excellent game regardless of his usage, totaling 22 points and seven rebounds; however, one can only wonder what may have happened if Kentucky's gameplan had their star as a point of emphasis. Travis barely touched the ball to start the game, and Duke was off and running. By the time UK was able to adjust, there was no looking back. Would the Wildcats would have won with a better game plan? No: The likes of Zion, RJ, and Cam are too much to handle. However, ​the thirty-four point blowout we witnessed is not a true display of talent differential on these two squads. Travis is a baller, and if the rest of the offense is run through him, there's no telling how much Kentucky could improve this season.